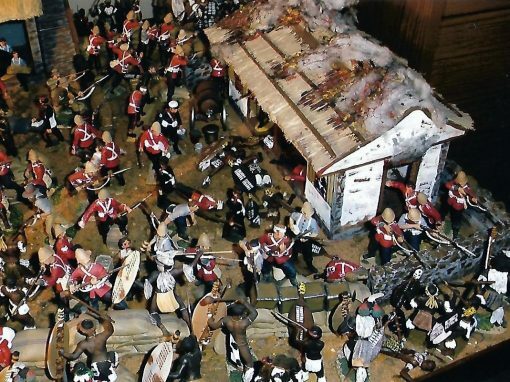 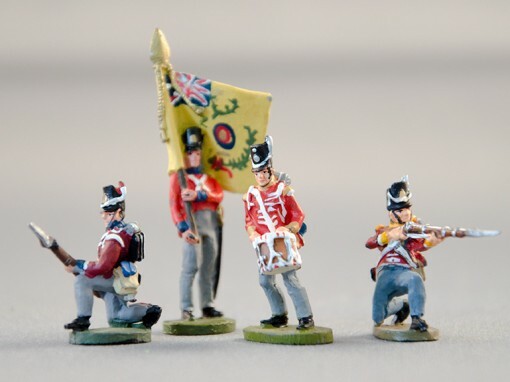 Of all the British Regiments that marched and fought throughout the Napoleonic wars, perhaps the most recognisable were the green uniformed 95th Riflemen. 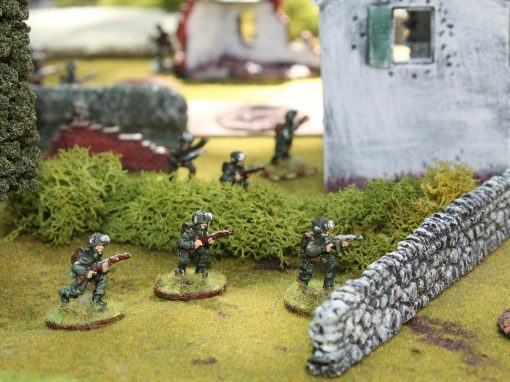 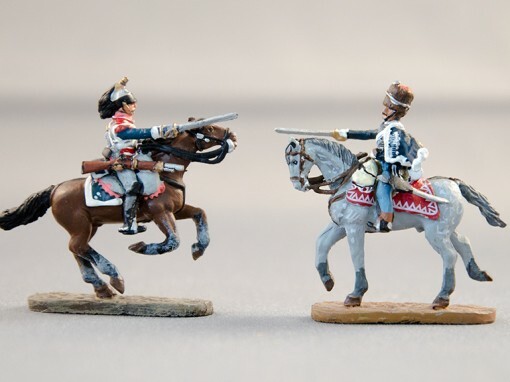 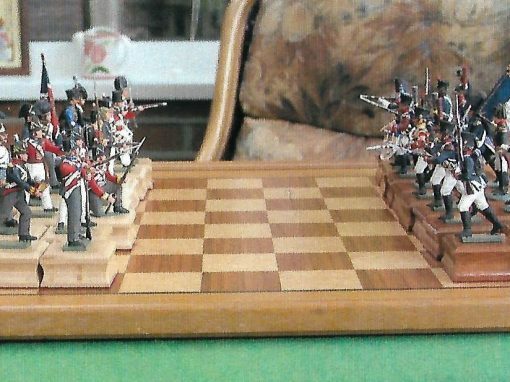 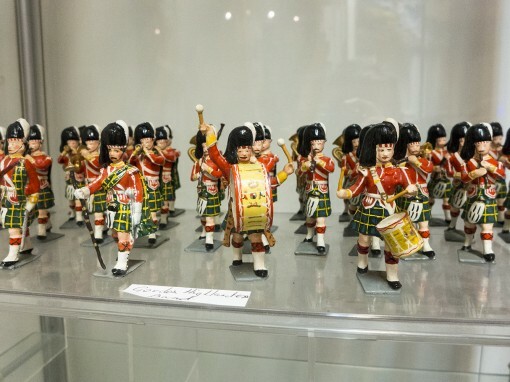 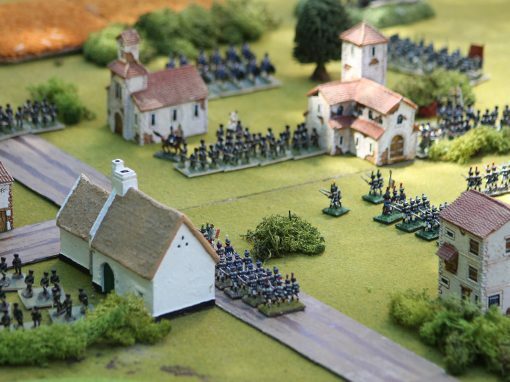 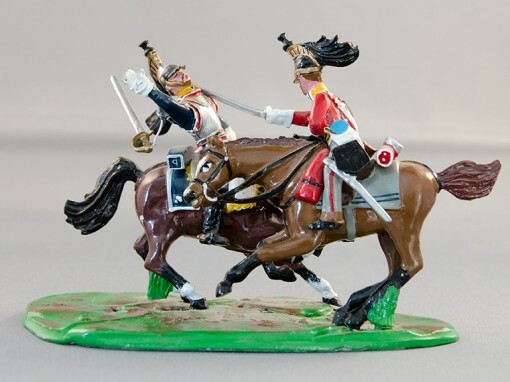 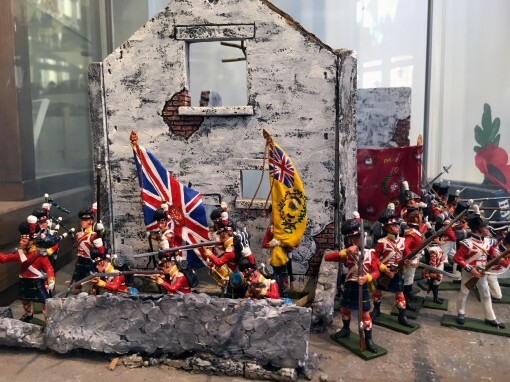 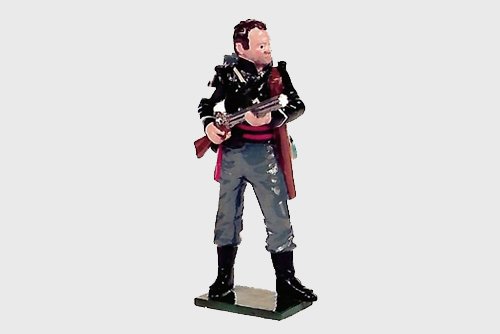 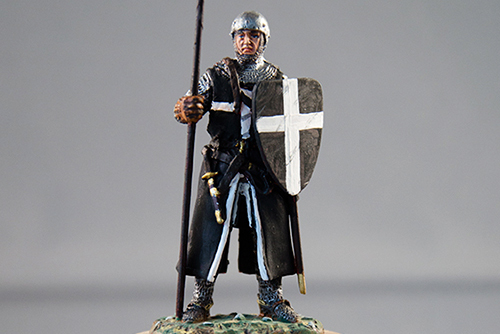 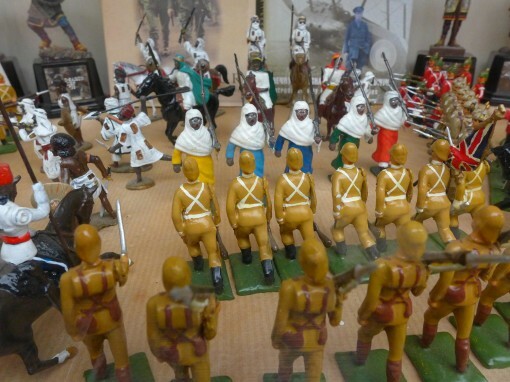 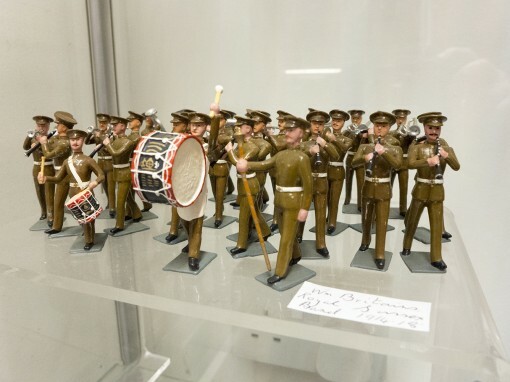 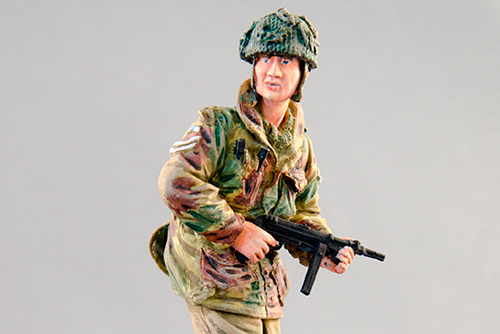 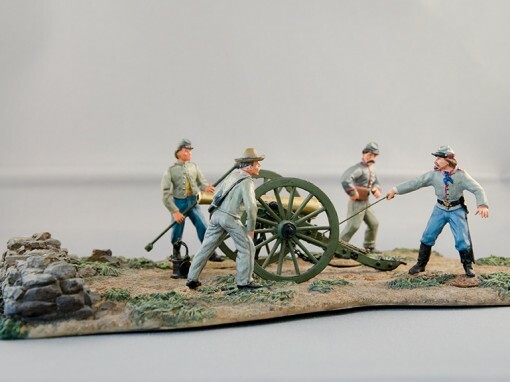 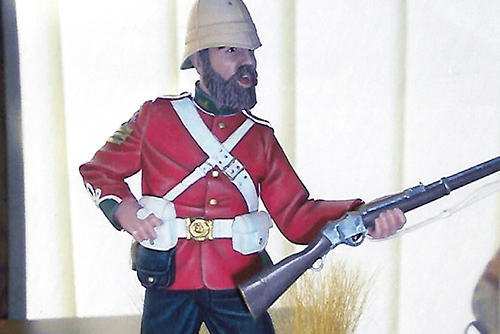 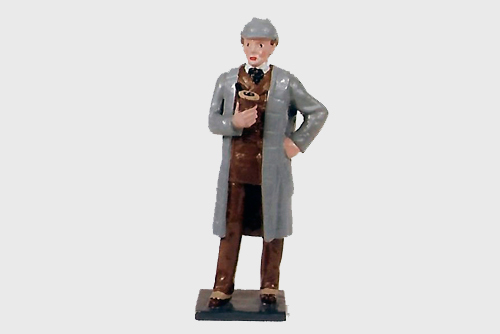 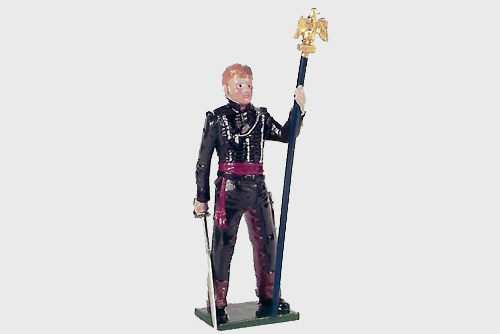 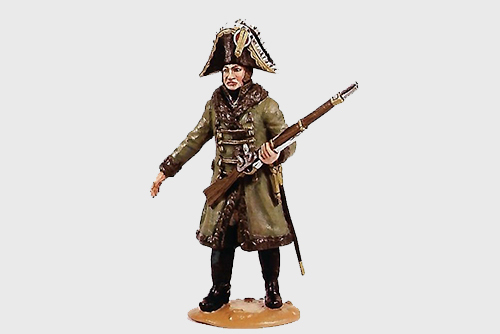 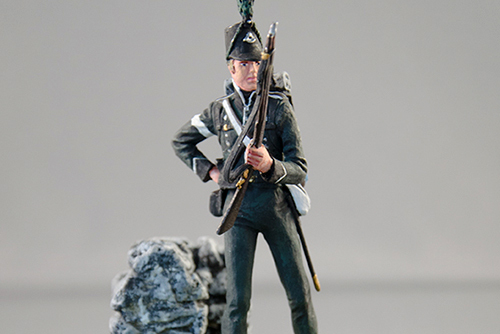 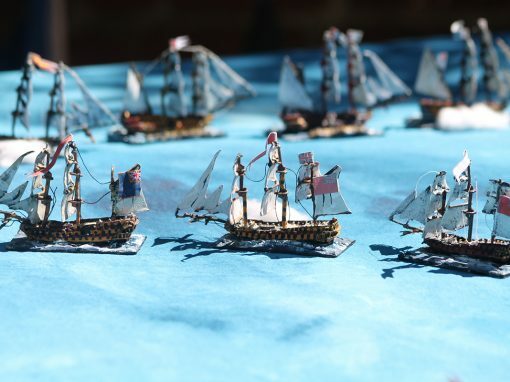 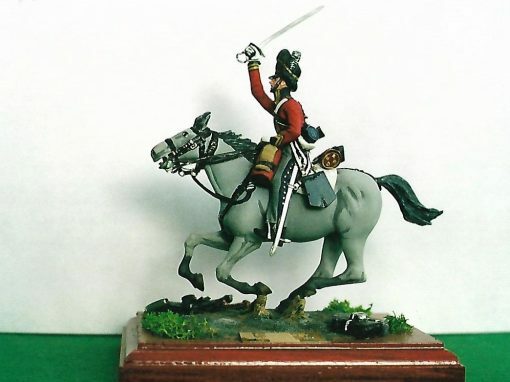 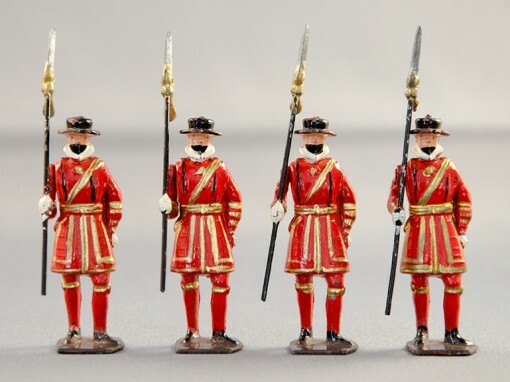 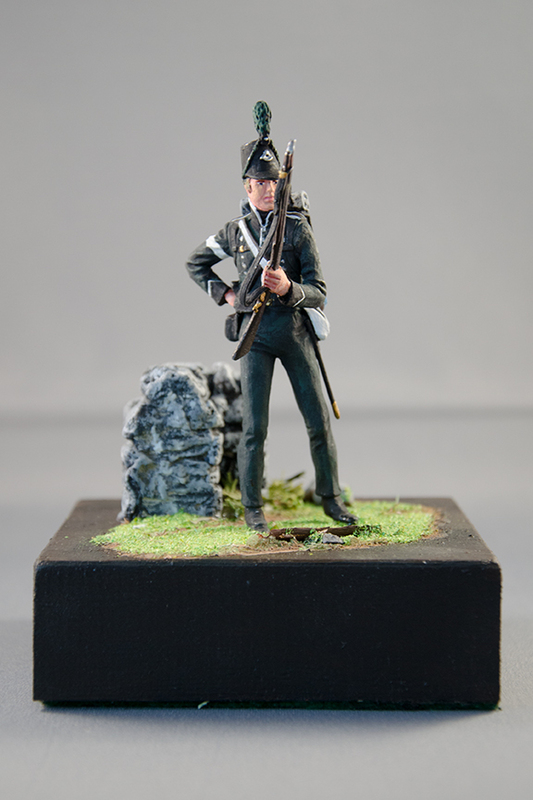 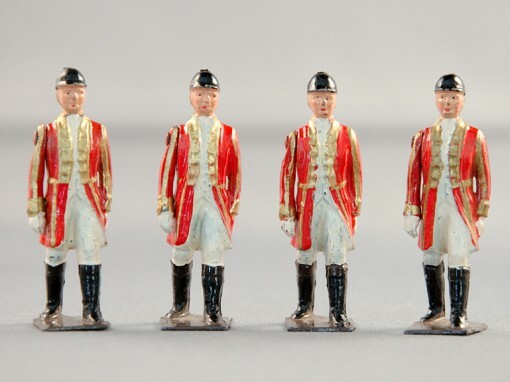 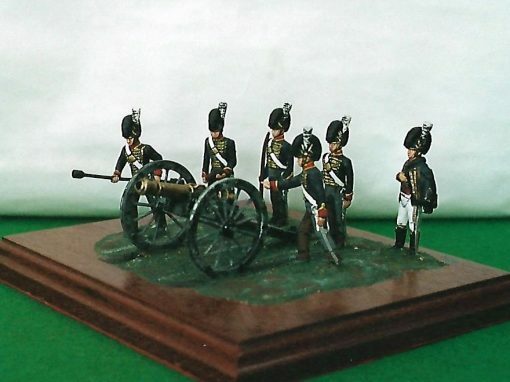 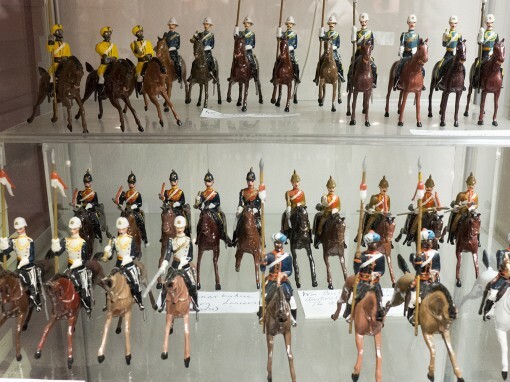 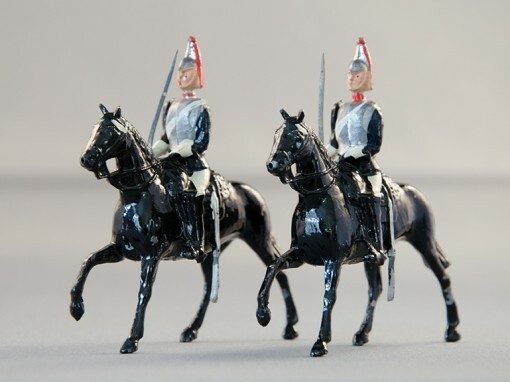 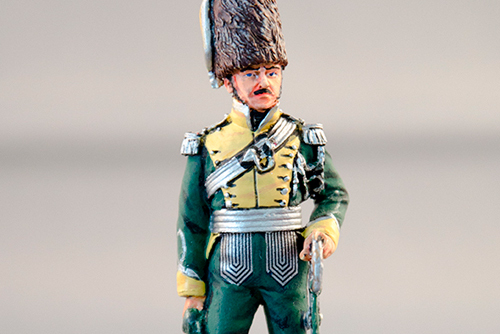 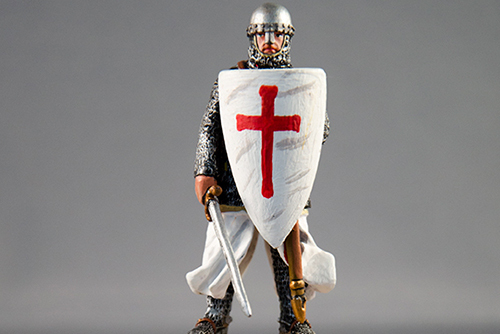 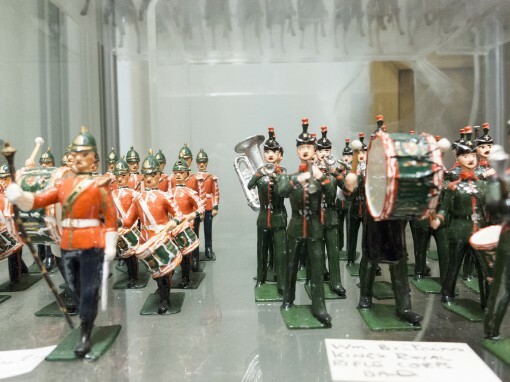 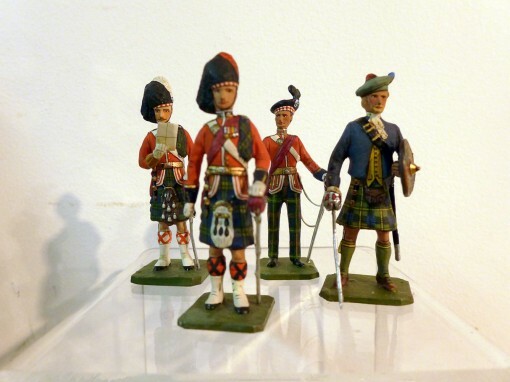 Made famous by the Sharpe novels and BBC television series, these light infantrymen are a popular subject for collectors and war gamers alike. 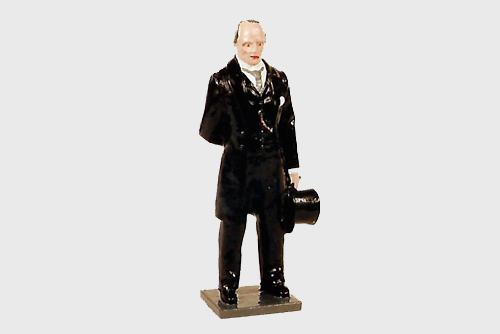 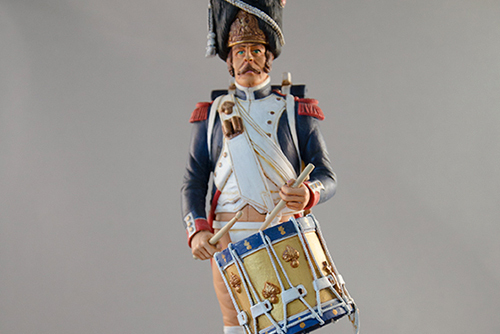 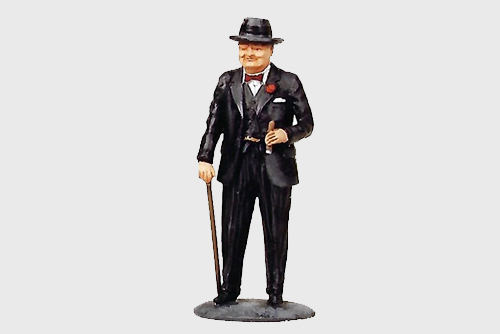 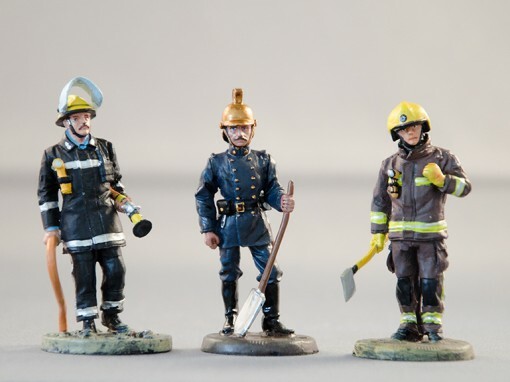 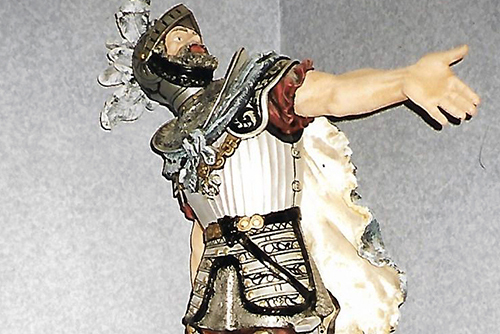 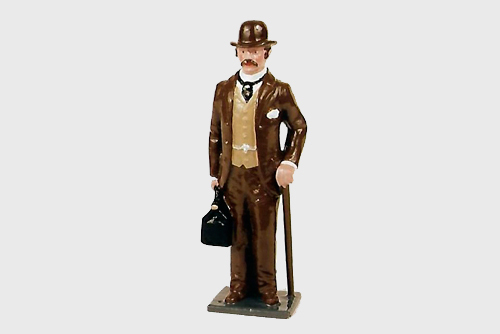 The illustrated model is in 54mm scale although pieces in a variety of poses, in other scales can be provided upon request in both traditional high gloss and Connoisseur finish.